Use AdviceAid to help create excellent Personal Housing Plans and advice records. AdviceAid will help you get on top of your Homelessness Reduction Act responsibilities. Quality tailored advice contributes towards effective homelessness prevention. Filter through the Shelter database in seconds to find the advice that reflects your client's exact circumstances. No more compiling written advice from scratch! 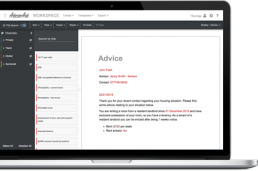 Simply drag and drop the advice directly into your personal housing plan. Edit the text as required to tailor your advice. 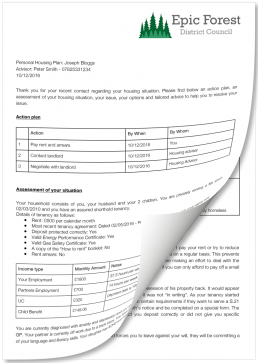 Once reviewed, the personal housing plan can be exported to a PDF. An exclusive collection of regularly updated advice covering the most common scenarios. Create and save your own individual or team advice and reuse it again and again. Tailored and comprehensive written advice created in a fraction of the time. Meets the new duty of the Homelessness Reduction Act to provide “comprehensive, tailored advice and information”. Reap rewards from giving your clients quality and timely advice, ensuring your team can focus on preventing homelessness. Use with your existing case management system to help your team give consistent and tailored advice. Using the power of text, lists and date fields, advice can be tailored to clients circumstances in seconds. No training required, AdviceAid is easy to use. Find the advice you want and drag it onto the page - simple! 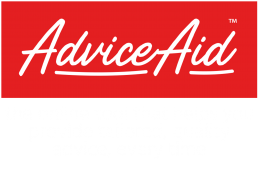 AdviceAid has the power to transform the time your team spends writing comprehensive tailored advice, all for a low monthly cost. Speed, quality and consistency of searching creating and sharing advice enables local authorities to maximise efficiencies and save money. Secure - AdviceAid is G-Cloud 9 approved, meeting and exceeding all requirements for government-related security. Support – 24/7 support, help pages, videos and guides.